When it comes to science fiction TV series, there is no bigger one at the moment than Black Mirror. It’s the mind-bending, mind-blowing show that everyone seems to be talking about. The recent release of the innovative interactive movie Black Mirror: Bandersnatch on Netflix helped solidify the hold Charlie Brooker’s inventive anthology series has had on people. While the series has been well-received, winning numerous awards, Black Mirror episodes can be a bit heavy at times — and, of course, isn’t due to return with the next installment until spring of this year. 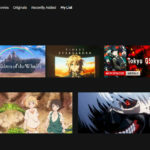 For those looking for a lighter science fiction experience, there is nothing better than watching some astounding sci-fi anime — whether it be of the action, comedy, mystery or romance varieties. If you like to get creepy, there’s even some scary J-horror anime on the list. All items on this list are available with either English audio, English subtitles or both and can be purchased on Amazon or streamed on different services. Take extraterrestrial surfing, humanity forced out of Earth by an alien species and a fourteen year-old boy who just wants to ride the waves — and you get Eureka Seven. 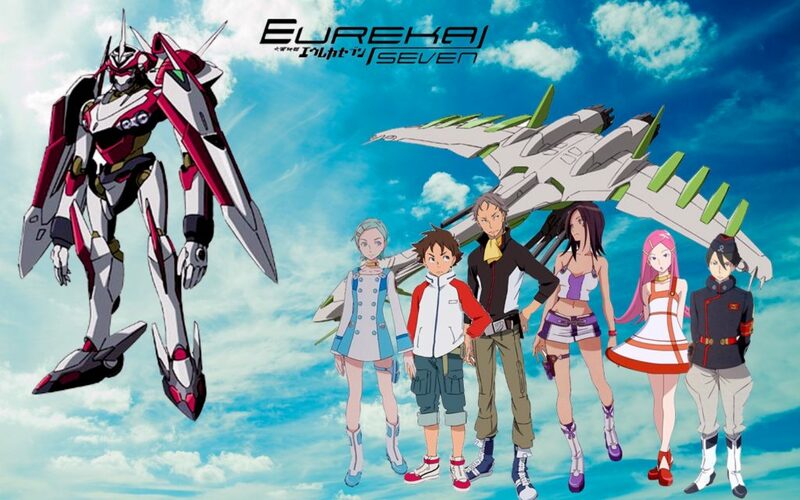 A shorter series, Eureka Seven spans just 50 episodes divided into two seasons. Eureka Seven is a deep sci-fi action series with a well-developed story that’s well-paced and never overstays its welcome. 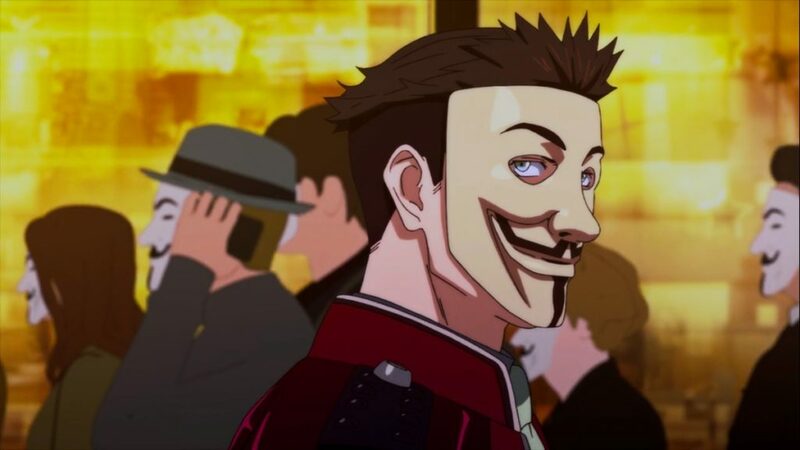 When it seems like Hollywood has been ripping off Japanese titles for decades, Japanese anime studio Pierrot flips the script with Hero Mask, a James Bond-esque secret agent sci-fi action series produced for Netflix. Following James Blood, a trigger-happy intelligence agent, the anime is packed with chase scenes, futuristic high-tech gear and a conspiracy involving LIVE, one of the world’s largest companies. When a crown prosecutor drops dead in the street, James rushes to find the killer. His investigation leads him to a conspiracy of escaped prisoners, special masks that appear to give their wearers special abilities and one nefarious company that seems to be behind it all. Like the Black Mirror episode “White Bear,” Hero Mask is a story centered around advanced technology, mystery and conspiracy. Good For: people who enjoy series about special agents, action sci-fi and mystery stories. In a society with one of the highest suicide rates in the world, fictional stories depicting it are often controversial in Japan. However, perhaps it’s that provocative nature that made Orange so popular and so well-received. The anime series was based on a manga and garnered enough response to spawn a live-action feature film. One day, high school student Naho Takamiya receives a letter from herself written 10 years in the future telling her that one of her best friends (and — spoiler alert! — love interest) will commit suicide. In 13 Reasons Why fashion, each episode of the series focuses on one letter from the future and Naho’s struggle to save her friend’s life using advice from her future self. While some Black Mirror episodes act like a time machine, showing us what the world might become in the near or far future, Orange is a story of people reclaiming and mending their past. Available on Amazon.com (with shipping to Japan), Amazon Prime Video and Crunchyroll. 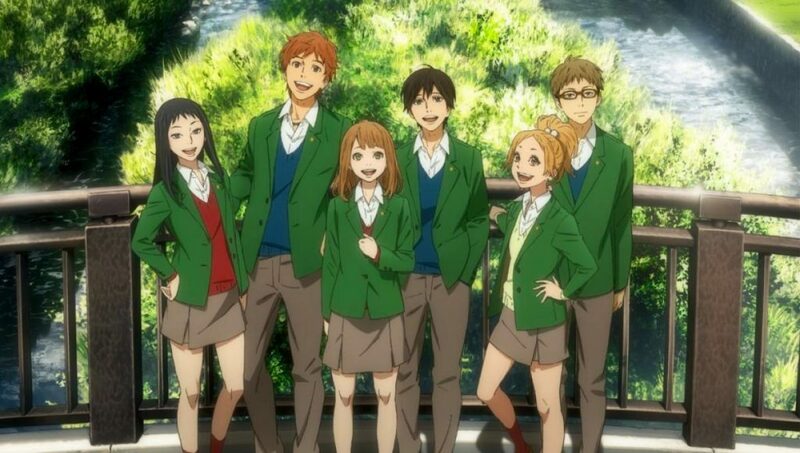 This is perhaps the most-discussed and original anime since Attack on Titan. 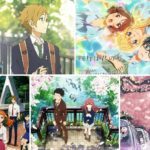 This new sci-fi action and horror anime began airing on Jan. 11 of this year and must be placed on this list. 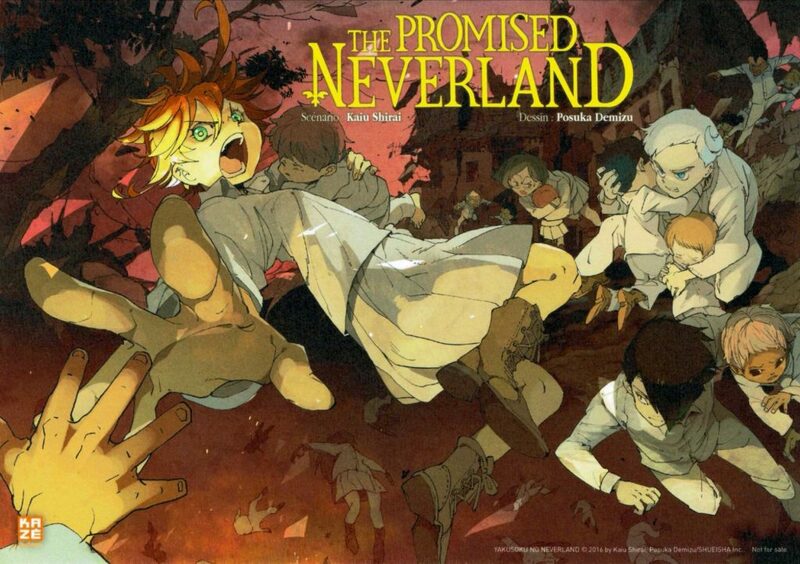 Based on the manga of the same name, The Promised Neverland peers into what it would be like if humans were cattle and at the bottom of the food chain. The series follows a group of “cattle children” who have been grown and nurtured to have extraordinary mental faculties so that their brains taste more delicious when they are sold as livestock and butchered. Using these abilities, they escape their farm and must find a way to survive and save other cattle children from their gruesome fate. The Promised Neverland is grotesque, mysterious, action-packed, and above all thought-provoking in its message and themes. Black Mirror episodes can be cynical in their presentation of humanity’s possible future. If you like the darker messages and themes in Black Mirror then The Promised Neverland is the anime for you — it’s easily the darkest and most gut-wrenching anime on this list. 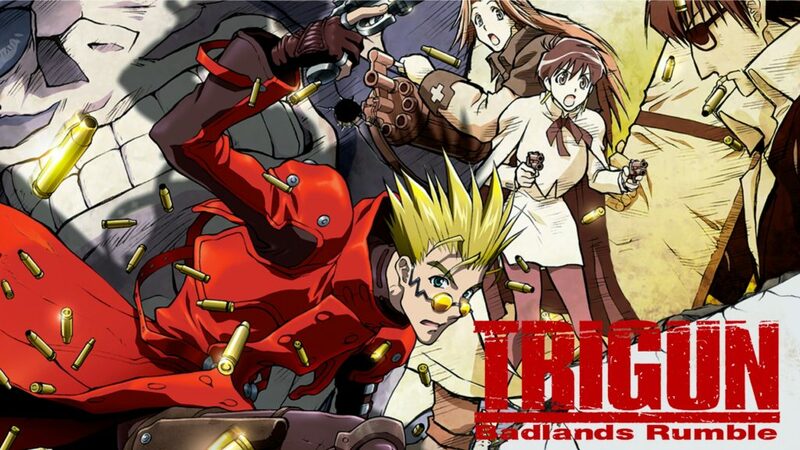 Ending the list, we kick it old school and go straight back to the 90’s with this one, Trigun is an anime from 1998 which has aged well and holds up today over 20 years after its original release. Trigun is one part steampunk and one part cowboy western — an unusual combination that shouldn’t work, but does so magnificently and hilariously. The series follows a clumsy womanizer known as Vash the Stampede, an outlaw with a $60-billion bounty on his head and two insurance agents who are in constant pursuit of him to lessen the damages that happen around him. Vash is wanted for the crime of destroying an entire city, a crime that he has no memory of committing. Bounty hunters who chase him quickly learn they are outclassed by Vash, his mechanical gun arm and his ability to never miss a shot. Trigun is an anime that blends action, story and humor perfectly into one classic series that deserves to be remembered and re-watched. Like many Black Mirror episodes, Trigun is filled with themes of human enhancement through technology and the destruction that technology can cause. Good For: people who love steampunk and comedy-action series as well as Western shootouts. Available on Amazon Japan, Amazon Prime Video Prime Video and for free on YouTube. 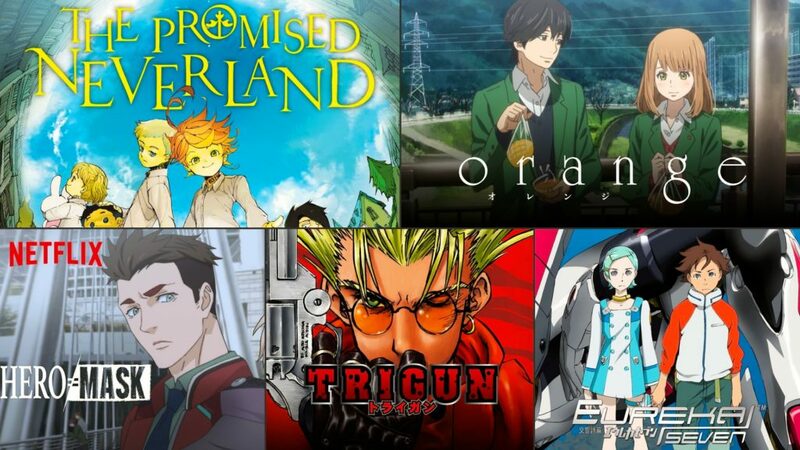 So if you’re looking to take a break from re-binge watching Black Mirror or desperately waiting for season five — be sure to give one of the spectacular anime on this list a go. 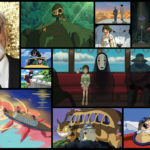 Have a favorite mind-bending Japanese anime title of your own that should be on this list? Let us know in the comments below.